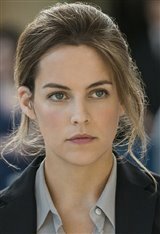 The first-born grandchild of Elvis Presley and Priscilla Presley, Riley Keough began modeling in her teens. Her parents are Lisa Marie Presley and Danny Keough. Riley made her feature film debut in The Runaways (2010), opposite Kristen Stewart and Dakota Fanning. Roles followed in movies such as Magic Mike (2012), Mad Max: Fury Road (2015), Logan Lucky (2017) and the thriller Under the Silver Lake (2018). On February 4, 2015, she married Australian stunt performer Ben Smith-Petersen.